I usually don't wear two bold colors at the same time. I always try to balance it with neutrals. 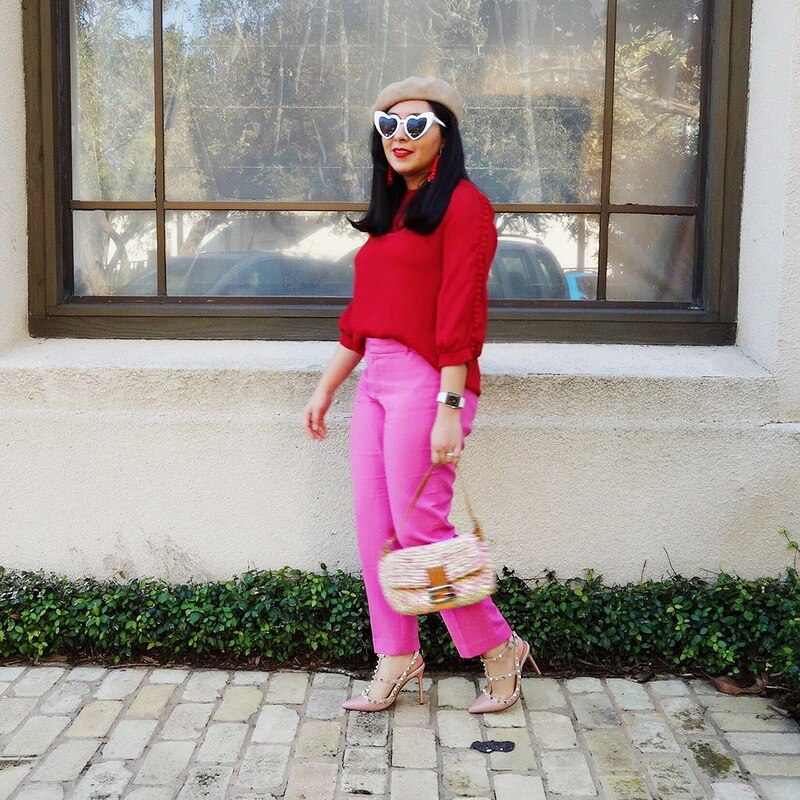 Today, I decided to mix red and pink, right on time for Valentine's Day! I love how these two colors look together and make me want to keep on mixing more bold colors together. I bought both the top and pants at a thrift store. I got this top a while back and it was polled 90% YES. It has pompoms on the sleeves and I really like it! The pants are from the Gap and are super comfortable and I love the color. I have worn these before, but like I mentioned, with neutral colors. I really think this is a great color combo! I also envision using these pants with a green sweater I just bought! I've been seeing tons of pink/lavender/green during fashion week. For the shoes, I am actually using a neutral color! I got these shoes from Amazon! They look like Valentino, but they are not!